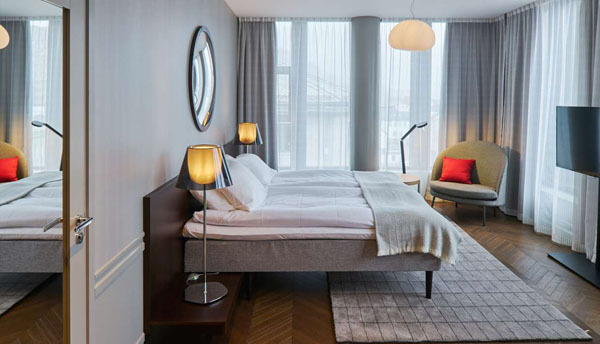 Located by Togralmenningen and occupying the upper floors of the old stock exchange dating back to 1862, the timeless Bergen Børs Hotel is one of the most luxurious hotels in Bergen. Conveniently located in the heart of the city every spacious room offers an amazing view of the city. The 127 rooms that are offered to the guests vary from: Single Room, Smaller-Sized Double Room, Standard Room, Superior Room, Family Room, Deluxe Double Room, Junior Suite Room, and Suite with Harbor view. Be sure to visit one Bergen’s most popular tourist attractions directly below the hotel- the spectacular Fresco Hall with wall murals from 1923, painted by Alex Revold. Locals and tourists also enjoy Bergen Børs’ signature restaurant, BARE. This restaurant is known for their uncomplicated and innovative menu that ranges from basic to more adventurous offerings. 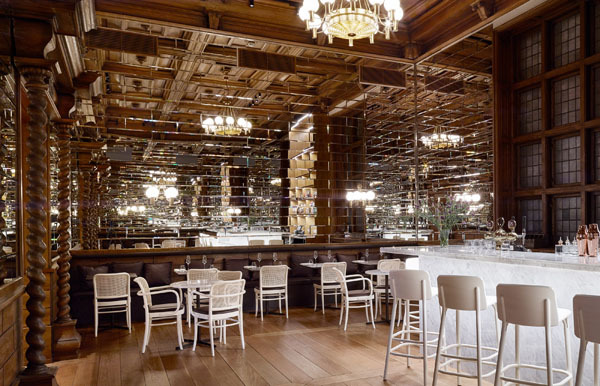 The Nordic inspired menus use local ingredients from the neighboring fjord regions, and the dishes pair perfectly with the extensive local wine and beer served. 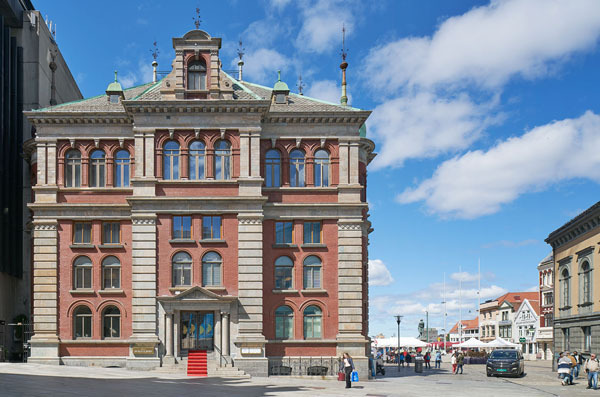 A perfect spot to explore the charming town of Bergen, while experiencing a bit of history inside of a converted stock exchange, the Bergen Børs Hotel offers an experience of a lifetime.